I am pleased to announce the Vertical Jump Bible 2.0 is completed. Everyday for almost 2 years I've been hounded with emails from people asking me when I would have it completed, and finally it is done. The VJ bible 2.0 has been a work in progress for a while now and I'm confident it's by far my best work. 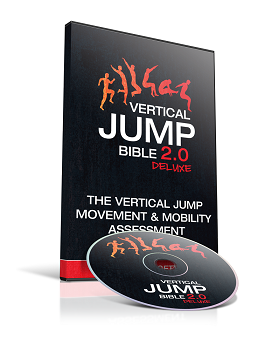 Although geared toward the vertical jump, I'm confident the VJ Bible 2.0 deluxe will be highly useful for any coach or athlete who needs explosiveness or wants to learn how to train for it, regardless of the sport. Must we train fast to be explosive? Muscle mass increase for a jumper? What's the deal with fiber type? How long does it take to get gains? How important are nutrition and supplementation for recovery? How often should you train and how much? The VJ Bible 2.0 is likely more information than you'd ever want to know on VJ, and includes what I feel are the most efficient and modern approaches towards improving it, approaches that will soon become commonplace. There are enough workouts to take care of any athlete for a LONG time, and each one is individualized towards you as an individual. The VJ 2.0 manual itself is a softbound physical book. It also includes a separate online video movement, mobility, and muscle activation assessment. You wouldn't throw your car out on the road with no oil, bad tires, and clunking transmission, but many people run around with the human equivalent in the form of poor recruitment patterns and lack of mobility. These people don't benefit from training the way they should because the "tuning" of their bodies is off. The assessments allow you to identify mobility and muscle activation impairments and get them corrected. If you're going to properly benefit from training you need to be able to recruit the right muscles, in the right order, at the right time, so you can best leverage more power into the ground. The activation and mobility assessment will help you do that. The assessment vids also come with an online exercise video library. 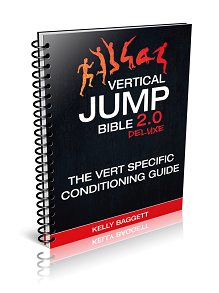 The VJ bible 2.0 Deluxe package also includes a special bonus e-book called, "The Vert Specific Conditioning Guide". Jumping high is well and good, but if you play a sport it does you no good if you can't run the length of the floor without throwing up from exhaustion. Even if you DON'T play a sport and are just a Vert specialist it's not all that enjoyable to train hard when you have to sit down and rest 10 minutes between sets to avoid coughing up a lung, BUT, the problem is most conditioning interferes with the acquisition of power and strength. The conditioning guide teaches you how to implement conditioning in a way that spares your fast twitch muscles from deteriorating under conditioning onslaught, so you can get in shape, burn off body-fat, and become a complete athlete, without sacrificing your vert gains. I give you about 20 different conditioning workouts to suit any goal. It also includes another special bonus e-book called "The nutrition and body composition management guide." In this book I cover nutrition for fat loss, nutrition for muscle gain, and teach you how to setup a diet for either goal. 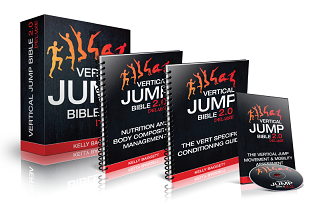 All in all The VJ Bible 2.0 Deluxe comes with the actual 199 page VJ 2.0 book and training manual, video assessments and exercise library, The Vert Specific Conditioning Guide, and The Guide to Nutrition and Body Composition. 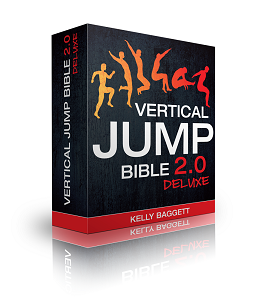 As a way of saying thanks to YOU, my followers, I'm offering the ENTIRE VJ Bible 2.0 Deluxe package to YOU at a special discounted rate of only $67! Grab your copy now via paypal.